One of the most commonplace questions for brides-to-be, other than the date, the venue and perhaps the flowers, is often about the choice of wedding dress. But once the big day is over, what happens to that white gown? 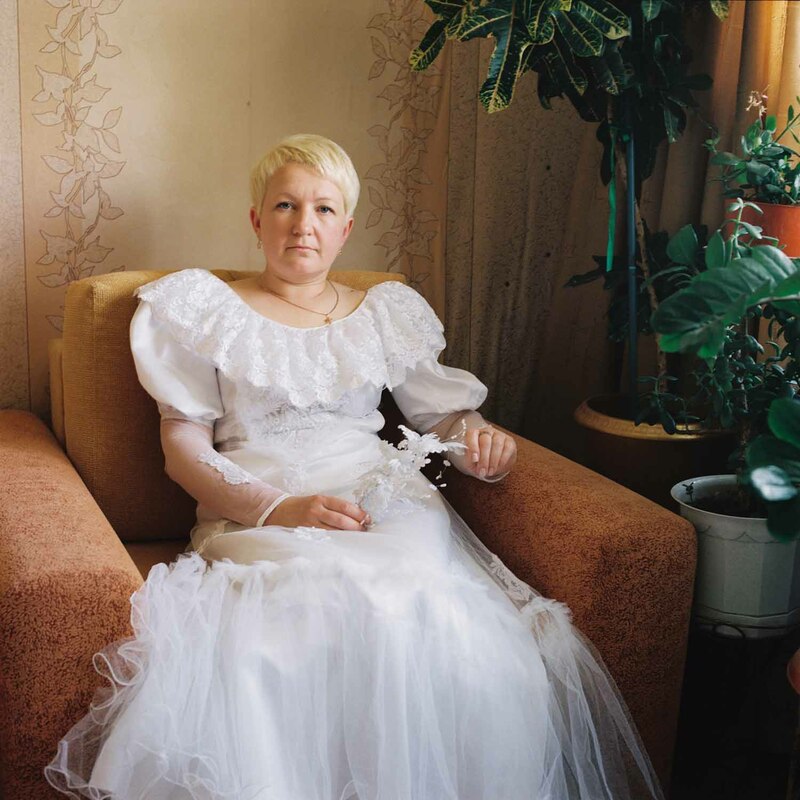 In Belarus, popular belief dictates that you should keep your wedding dress for a long-lasting marriage. 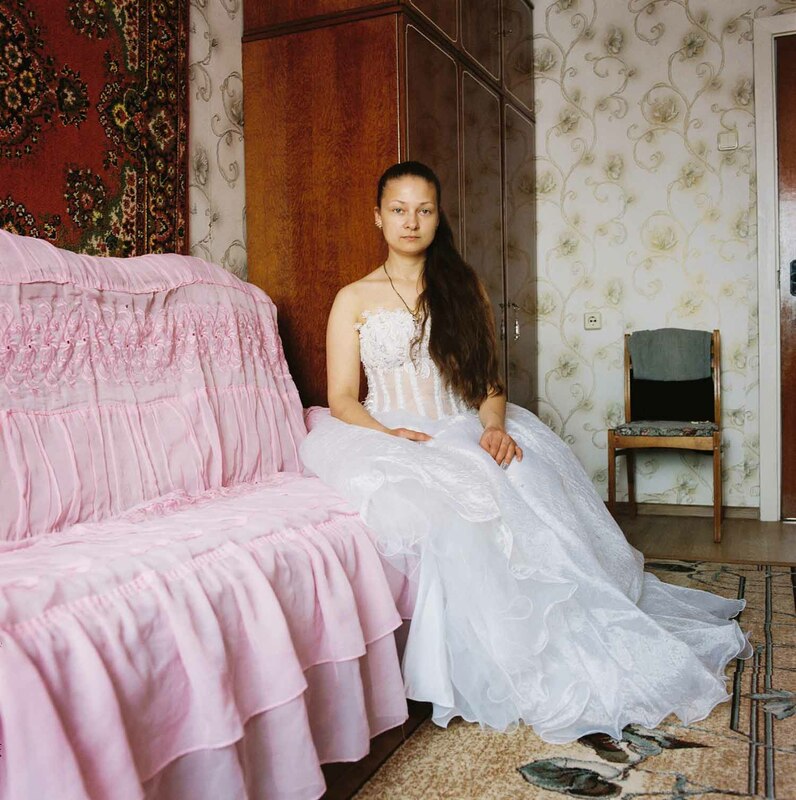 Many of the women in Oksana Veniaminova’s photo story White Dress have been holding on to their dresses for ten or more years and believe it is a testimony to their enduring union. Some are stored away, to be taken out during anniversaries, while others have more generous afterlives: passed on to daughters or remade into completely new outfits (one is even used as a pantomine costume). The unfortunate irony is that in other cases, wedding dresses outlast the length of matrimony. But even then, the choice to keep or bin is not so simple. 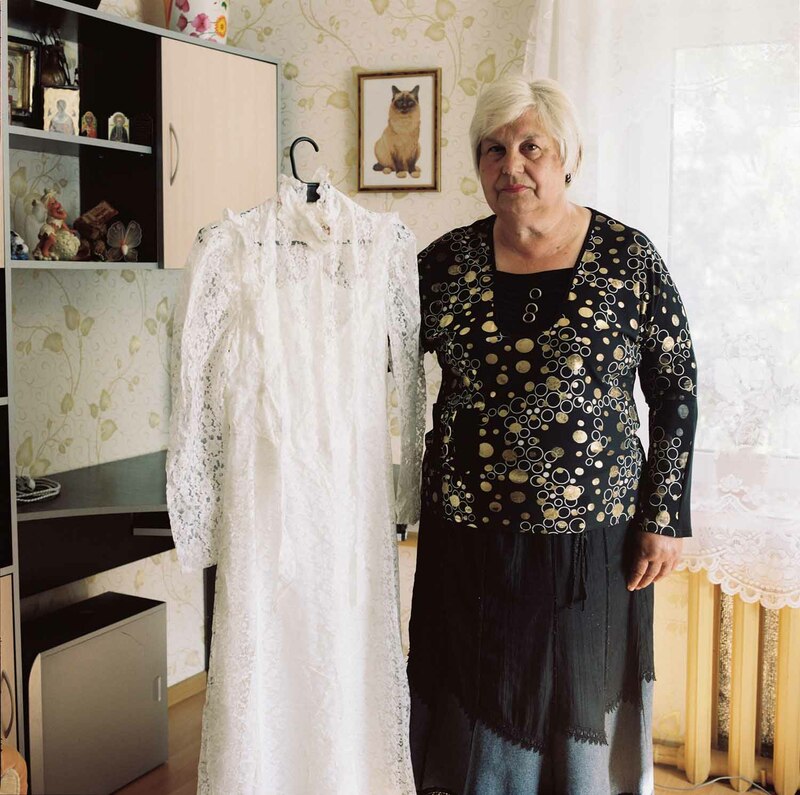 The series White Dress began out of a desire to create a project about memory. It so happened that beginning the series coincided with Veniaminova’s divorce. 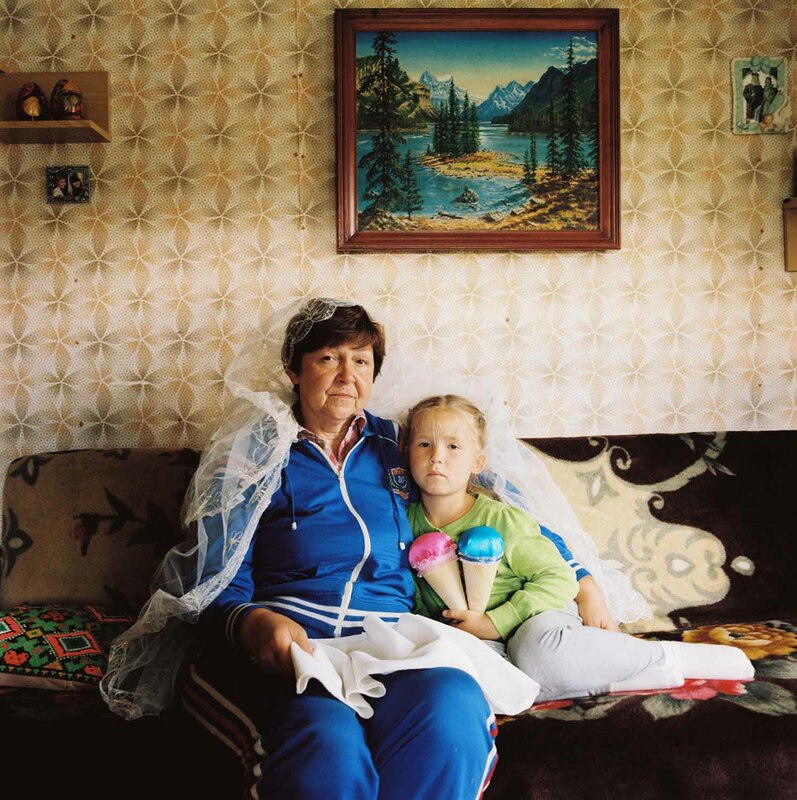 What started as a story about wedding dresses and their afterlives, became a personal exploration of women’s attitudes towards marriage, family and their place in these constructs. “This iconic garment and the tradition behind it started to symbolise for me our occasionally unconscious tendency to try to live up to this role. 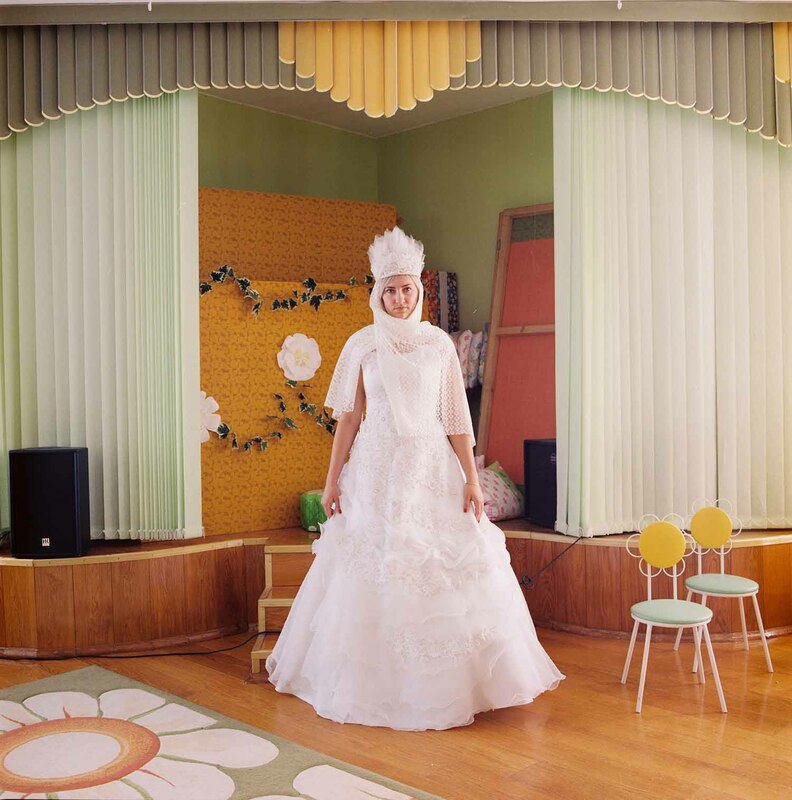 The dress becomes just another societal pressure to fit into,” she continues. 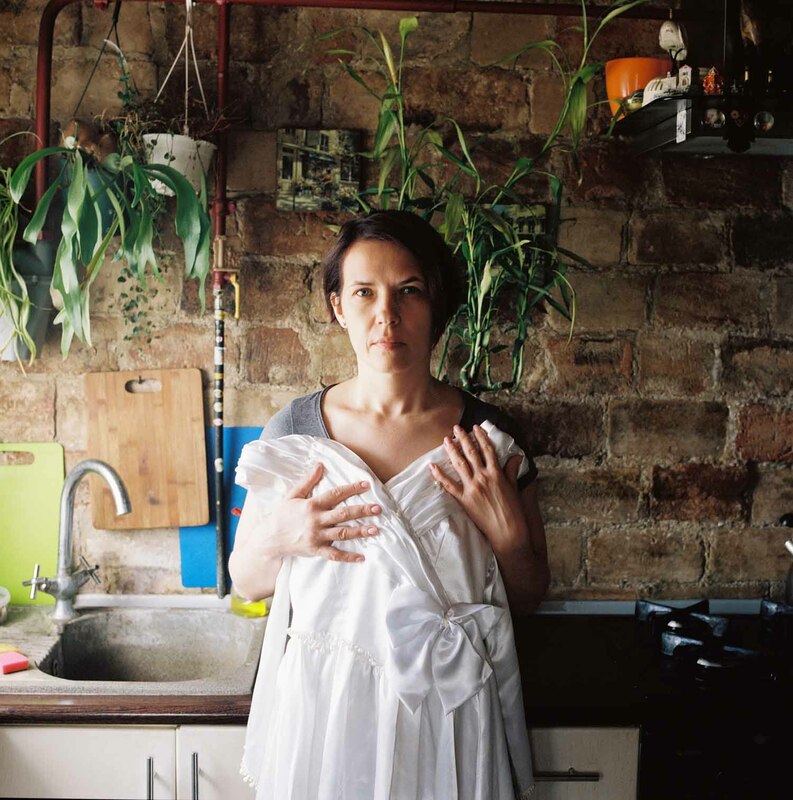 The photographer includes her own photo as part of the series. 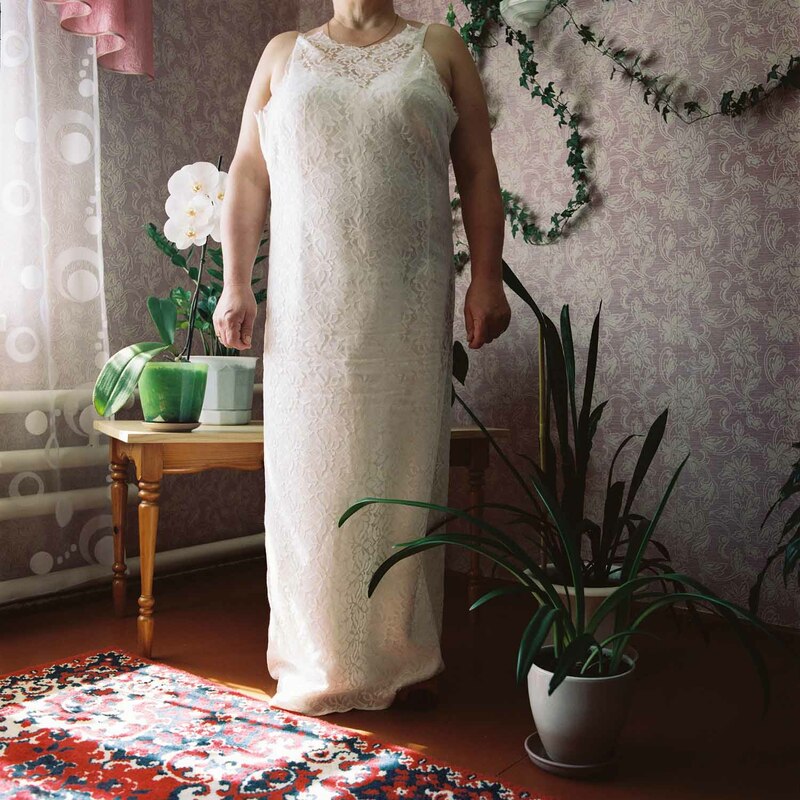 Taking her self-portrait proved to be the most healing part of the project, though she admits she felt uncomfortable in her dress, in the same way she felt constrained in that paradigm of the classic wife. “The series helped me come to terms with my own attitude towards matrimony and my role in it, and the reasons why my marriage failed.” Will she be keeping the dress? Only to be used in the making of the photo book, she concludes.